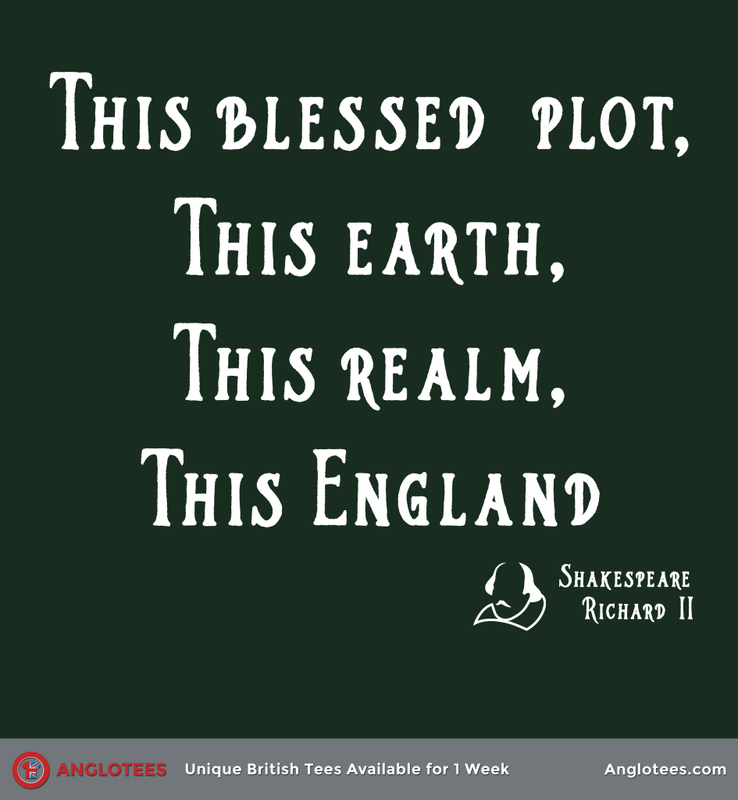 This week’s design “This England” was inspired by the iconic John of Gaunt speech from Shakespeare’s Richard II. Here are four different versions of the speech from different eras. John of Gaunt’s famous “sceptered isle” speech, from four different filmed performances of “Richard II”. There is four days left to pick up This England – our tribute to this iconic speech. Available in men’s, women’s, v-neck, long sleeve, hoodie and sweatshirt starting at $16.99 and shipping worldwide.